Do you identify with this quote from Elizabeth Gilbert’s Big Magic? Writing retreats can provide the time away you need from domestic distraction and the demands of everyday life. 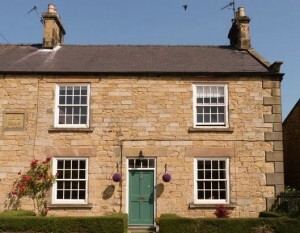 How would you like a few days in a peaceful North Yorkshire oasis? Hearts and Flowers runs a boutique B&B in the charming honey-stoned village of Wykeham, near Scarborough. Need WiFi for internet research? No problem. How about a separate studio space, with tea-making facilities and en-suite? There’s also a summerhouse in the garden where you are welcome to write. Writers retreats can be very remote. However, despite being very quiet, Wykeham is on a major bus route. There are the delicious Wykeham tearooms round the corner. Plus the Downe Arms with its pub and restaurant is only a minute’s walk away. We can always provide lunch if you let us know in advance. If you are a driver, then you can easily park by our B&B. Wykeham is a great centre to explore the North York Moors and the North Yorkshire coastline. York is just under an hour away. During your stay, you’re more than welcome to join one of Hearts and Flowers events or workshops. These range from pop-up vintage fairs in the spring to Christmas Wreath Making in the winter. Please contact us at heartsandflowersevents@gmail.com to have a chat about options for writing retreats to suit you.